Property Location Located in Napa, Wine Valley Lodge is convenient to Uptown Theater and Riverbend Plaza. 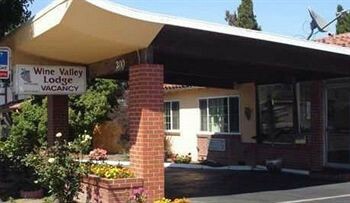 This hotel is within close proximity of Quent Cordair Fine Art Gallery and Napa Valley College.Rooms Make yourself at home in one of the 54 air-conditioned rooms featuring refrigerators and microwaves. Complimentary wireless Internet access keeps you connected, and satellite programming is available for your entertainment. Bathrooms have showers and hair dryers. Conveniences include desks and irons/ironing boards.Rec, Spa, Premium Amenities Take advantage of recreation opportunities such as an outdoor pool, or other amenities including complimentary wireless Internet access and a television in the lobby. Additional amenities include a picnic area and barbecue grills.Dining A complimentary continental breakfast is included.Business, Other Amenities Featured amenities include a 24-hour front desk and coffee/tea in the lobby. Free self parking is available onsite.